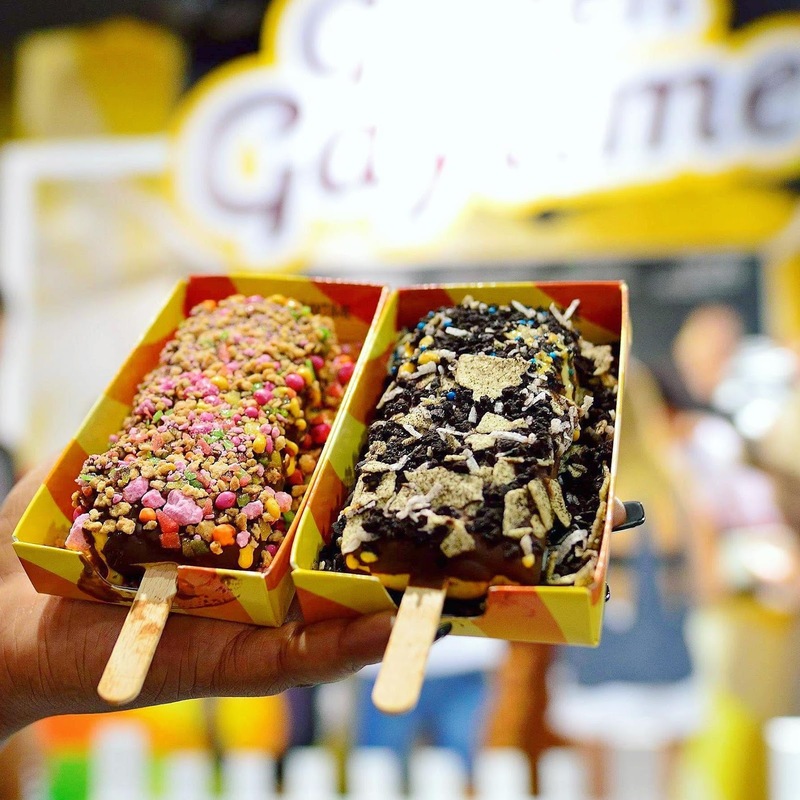 No doubt you've heard by now that the good folks behind Streets Ice cream have launched 4 brand new Golden Gaytime flavours. The Golden Gaytime is a full fledged icon in Australia so the news of their being NEW flavours is fyi kind of a big deal. The new flavours have been launched in partnership with Topshop and are available in stores in a section they are calling the "Crumb Shed". They are selling for $6 each but sadly for Brisbanites the new gaytimes are only available at Top shops in Syd & Melb. There's no word on how long the pop up will last or if it will expand to other states. Lucky for this foodie my recent trip to Sydney coincided with their launch so I was able to get my paws on the "Unicorn Breath" & "Crumb Choc Millionaire". The new gaytimes are dipped in a delicious chocolate sauce and then rolled around in the crumb before your eyes. The original crumb is also available for sale at the crumb shed. In conclusion, if you have a trip to SYD or MELB on the books not trying the new flavours would be a BIG mistake....HUGE. *Words by Chelsea Hawkins. Follow her on Instagram.